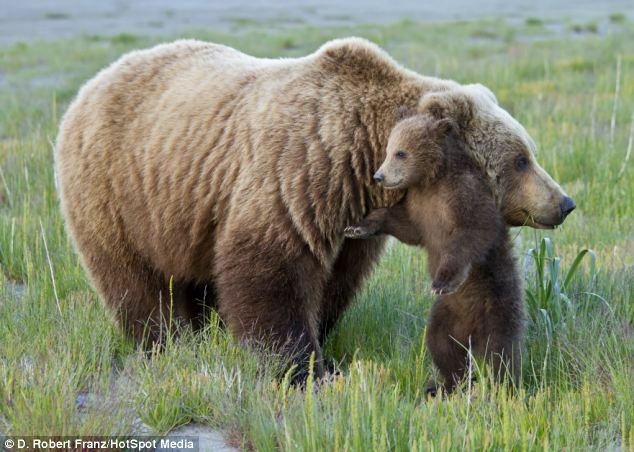 This is the adorable moment a brown bear cub relieved himself of an itch by using his mother as a scratching post. The six-month-old was captured rubbing his back against the larger bear’s body at Lake Clark National Park and Preserve in Alaska. Just minutes earlier, he had been rolling around, dancing and wrestling with his brother. The family’s intimate interactions were captured by U.S. nature photographer D. Robert Franz. 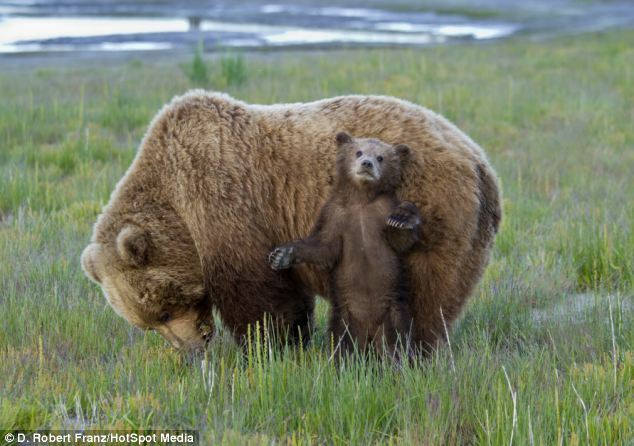 ‘What we see in these photographs is the interaction between the mother brown bear and her two cubs,’ said the 56-year-old. This entry was posted on March 28, 2014 at 2:06 pm and is filed under 2014 with tags Lake Clark National Park and Preserve in Alaska., U.S. nature photographer D. Robert Franz..	You can follow any responses to this entry through the RSS 2.0 feed. You can leave a response, or trackback from your own site.